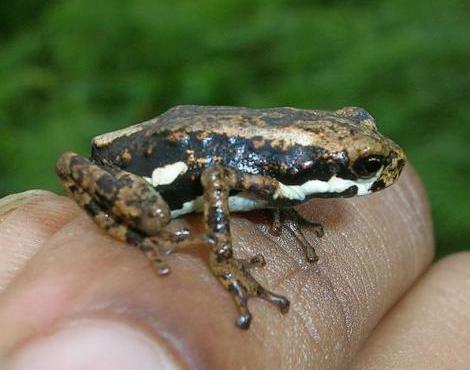 African tree toad is a genus found in forests of “central Africa”. Today considered as a small species and growing slash off from the species is a great concern to all of us. This amphibian belong to the family “Bufonidae”, class “Ambhibia”, phylum “chordata”, kingdom”Animalia” and of genus”Necto phryne”. In matter there are two subspecies of this category known as “African tree toad” and “bates tree toad”. 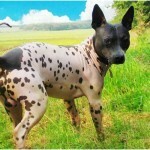 Both of them are same in their size and appearances but they tend to differ in their geographical regions. Likewise its scientific name is “Nectophryne afra”. 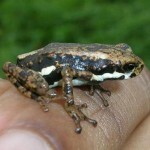 “African Tree Toad” is a common species with in toad family. This amphibian has specially designated feet to add its life style. It is a terrestrial animal and it uses its toes to hop or crawl in the ground. 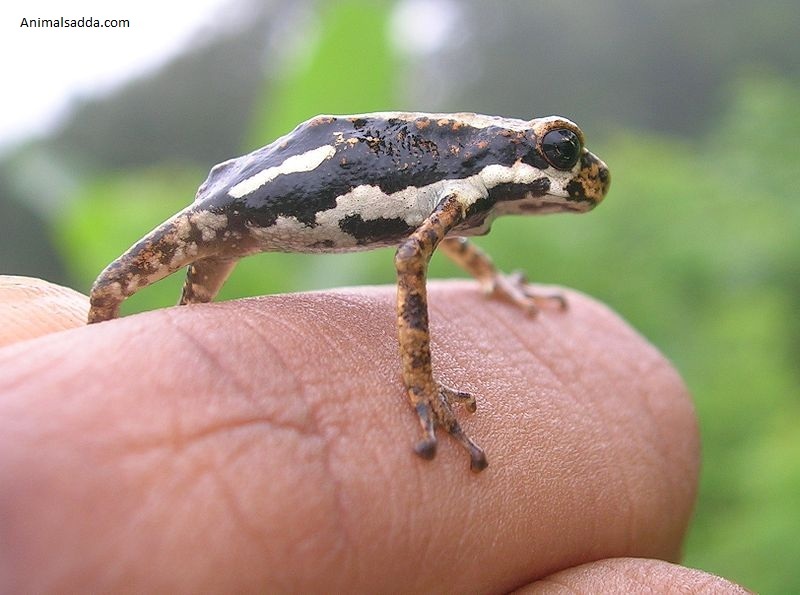 The normal size of this family of tree toad ranges from 2.5cm to 3.8cm.The colour to the species is white, black and brown. They have their life span of about 3 to 5 years. 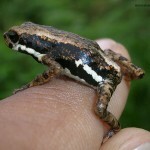 The appearance of tree toad is generally from dark to light brown having white patches on belly. This species has special designed feet which help to lead semi aquatic and tree climbing life style. The toes are long and thin having rounded discs pattern on its front tip. It uses the spreader digits to move into lager surface area. Again its size grows up to 3.8 cm which enable them to hardly find out on the forest bottom. The “African Tree Toad” is a carnivorous amphibian which elongates its long and erected tongue to prey for. It generally hunts small invertebrates, insects, worms and spiders to secure its prey. It actually tries, sits in silence before catching them at a lightning speed. “African Tree Toad” requires a environment to breed. The breeding process starts with a suitable environment where the female ones will surround. The control in the environment should be there to appeal them. You need to have male toad and female toad to make the differentiation. The spring is the perfect time to breed for them. So, just make a mimic of spring so that they can undo what had happened at that time. That is they can replicate by hibernating. Again they will find a time after dry and wet season that is the spring in which they try to breed. It requires a good surrounding where hibernation will continue. In that case they will select a lot of plants with water hollows. When the male one climbs up into the female one then it would be the time for fertilization thereby giving eggs. It will take 6-21 days to become the tadpoles. There are many threats to “African tree toad”. Due to its small size it seems to have many predators within its warm and wet surrounding. Fish, snakes, birds, rodents, lizards, and other amphibians are in this list. Above all the largest threat to them includes habitat loss in their yard, air and water pollution. There are no such clear information about the existence of “African Tree Toad”. Under this scenario it seems like they do have their surrounding in their natural habitat. But the records are not a must to this case. It is assumed that the species exists in these areas. Besides the fact that a little is known about the reproduction where the female one lays about 200 sticky eggs in water bodied nets inside the hollow tree cavities. This is being protected by the male ones until the eggs convert into tadpoles. After the new ones come out of the egg, it tries to hop around the watery nest. Then after they try to hunt food very quickly. They live until they become four to five years. Unlike the others the “African tree toad” is semi aquatic animal most often found in water. Similar to other toads it also spends much its time in walking; hopping on the ground where there is availability of water and food is there. In darkness they pretend to be hidden from the extreme predators by mixing high into the surrounding vegetation. 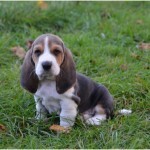 It makes them safe and guards their activities in relation with their dwelling predators. The colour of their skins and markings in their body gives them a extra defence against predators. 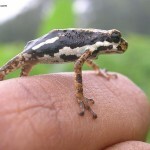 The distribution of “African Tree Toad” is said to be across central African list such as Cameron, Equatorial Guinea, democratic republic of Congo, Nigeria and Gabon. Its population size and distribution is simply apparent. The natural habitat of Tree Toad is subtropical moist, lowland, heavily degraded forests having plenty of water benches. But they are restricted to taller forests. It has been assumed that the “African Tree Toad” is having completely web toes to hop or crawl. The peculiarity in behaviour helps to get simulated, mostly spend their time in water. It is commonly found in water through out. The classification of species is similar to that of other toads. But their existence and survival is in equilibrium with surrounding. Unlike other toads it has some special features to accommodate. Their habitats, classification surely make them a rare species in recent times. Today the “African Tree Toad” is a concern to all of us because of growing decline in its population. It is very hard to find their existence in their natural habitats as a handful records exist for these species. But the popularity is distributed throughout central Africa in some areas. Now days the growing popularity, increasing deforestation and environment for “tree toad” is becoming a daunting task for them to survive. 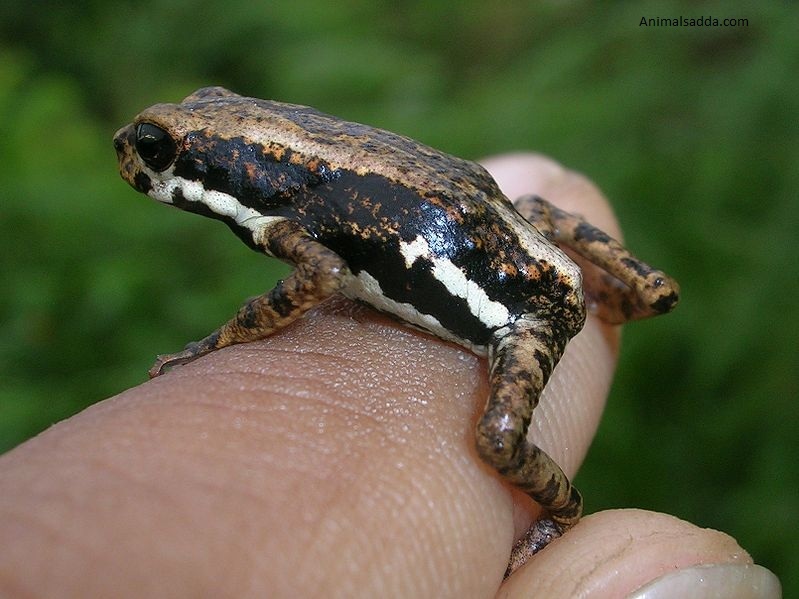 The “African tree toad” is unknown to the human activities as their size is very small. This is why they are hard to distinguish in their areas. The life is very difficult for “African Tree Toad” as no such information revealed till yet. This makes it knotty to learn and experience concerning this tiny amphibian .